Today, we are asking Father God to release the driving force called “grace” into your life, and to do for you by His grace what you could never do by your own labor. Thank Father God for His grace, by which you are saved. Thank Him that your salvation was a free gift that cost Jesus everything, but which you received freely. Thank Him for His active grace in your life that helps you every day, even when you don’t notice it. Remind Him again that His Word says His grace is sufficient for you, for His strength is made perfect in weakness. Confess to the Lord that you are weak in your own strength; that without Him you can do nothing. Point out to the Lord that His Word doesn’t say “My grace plus your work are sufficient.” It says “MY GRACE IS SUFFICIENT;” in other words, His grace is able to meet the totality of your needs, all by itself. Confess your total inadequacy without Him–but then confess your total completeness IN CHRIST. Ask Father God to pour His grace out on your life. Ask Him to let His grace be the driving force that propels everything in your life. Ask Him to make His grace tangible in your life today–as tangible assistance, tangible guidance, tangible help. Ask Father God to do for you by His grace and power what you could never do by your work. Ask Him to do things for you and work miracles that only He can do, simply by His grace–things beyond what you could ever strive or labor for. Ask Him to manifest miracles in your life, starting today, through the driving force of His grace. 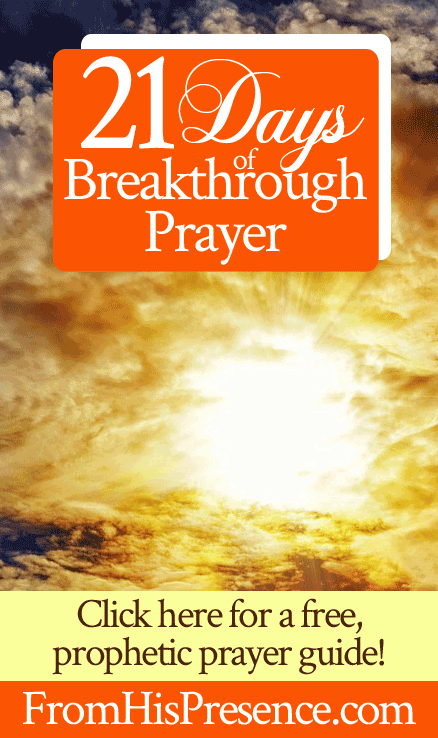 That’s our breakthrough prayer for day 5! Indeed Our Father’s Grace s sufficien enough for us in Christ Jesus. God bless and replenish you a thousand fold woman of God. Amen! Bless you Jamie. God led me to this site this week. A post of : The Blessing of Abraham was the beginning. I wasn’t aware of the 5 day prayer. But today after a difficult night I awakened to this. I surely needed to know His grace is sufficient. I trust He is working everything out for His glory and my good. I bless Your Name Lord. Amen. So so happy am part of the Series. The prayer points are so powerful and after praying, feel so excited. God bless you Jamie for availing yourself to the work of ministry. I am blessed. This is my season for a miracle. I expect a miracle this December before the year 2018 ends. The prayer points are powerful I pray daily.